It may be just my opinion, but in redeveloping an old building, the choice of an architect matters. I think we made a good choice. The better the plans, the better the sub-contractors can bid, and the easier one can get a building code permit. "In this intellectual climate dominated by “interventionistas” and “IYIs,” nothing is more salutary than a bold and original thinker willing to call a fool a fool and a knave a knave." 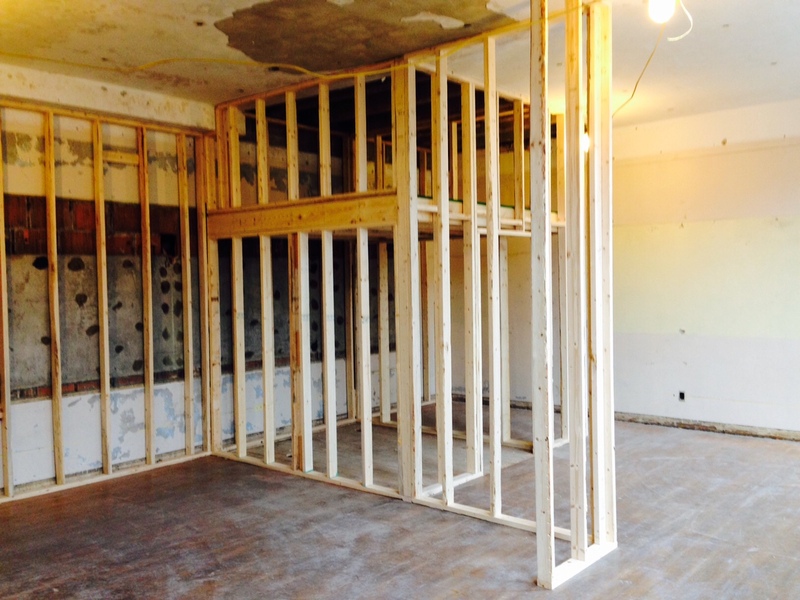 Before much of anything can get done in a building project, the interior walls need to be framed in. 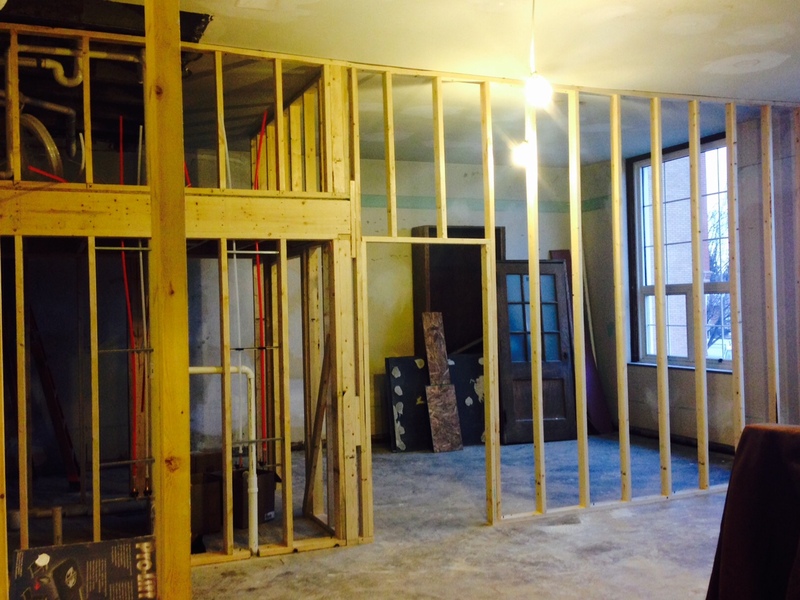 While the existing bones of the Old School are brick, concrete and ceramic block with plaster interior walls and ceilings, most of the new walls are either 2" x 4" or 2" x 6" wood studs. 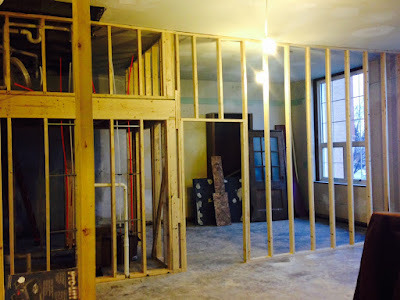 The new walls were added mostly to create bathrooms, bedrooms, and the kitchens. 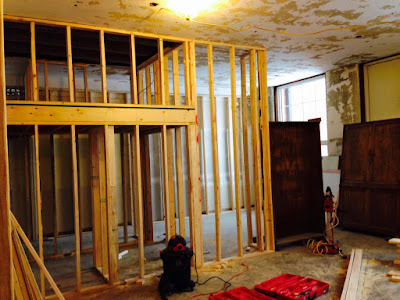 The old plaster walls were saved wherever possible. 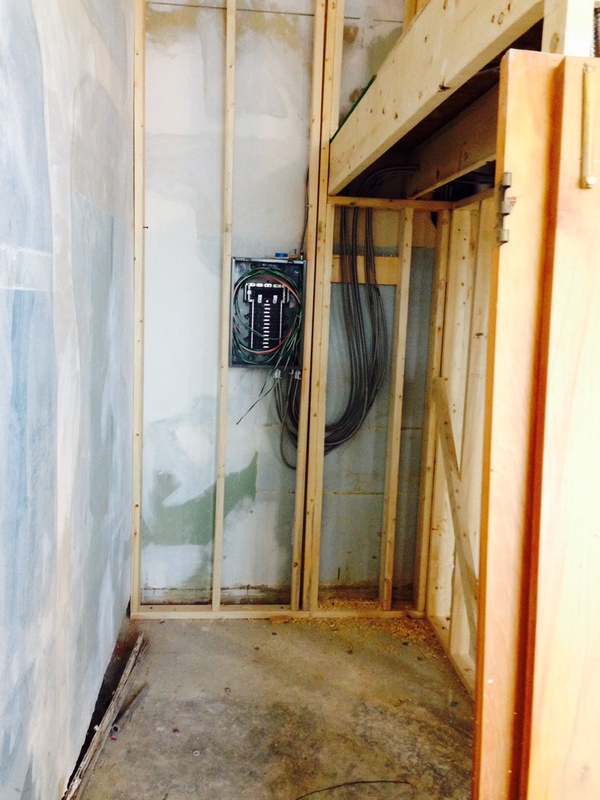 One of the issues confronting the design of the renovation was hiding the new plumbing. 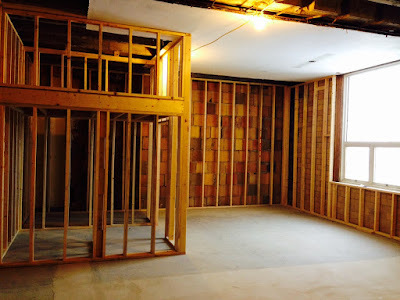 Since it is a three story building, and the rooms are essentially stacked upon each other, it was necessary to hide the plumbing for the third floor units from the second floor units and the second floor from the first. 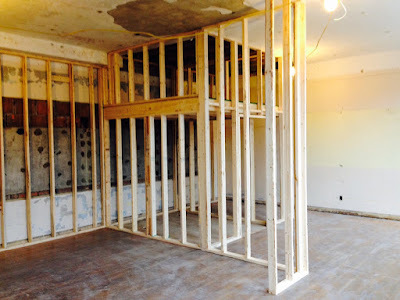 We solved problem by creating a mezzanine over each bathroom. 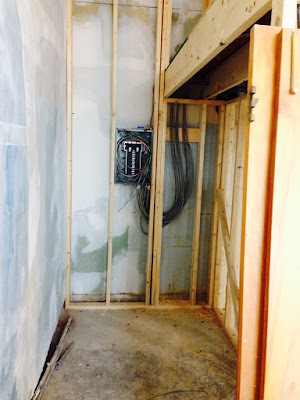 For the most part, all the plumbing lines, hot water heaters, and exhaust systems are hidden there. I don't remember any schools I attended having a fireplace, but this one did. we will not allow the fire place to be used. Chimney has been capped. necessity of hiding the plumbing from the unit above. The great state of Ohio makes early voting easy. Took advantage of that today and voted in favor of the renewal of the Newark School levy. "How to give a five-minute presentation: Give a four-minute presentation and take your time." Incentives drive the world in many ways so getting the right compensation system in place can have a huge impact on people’s actions. Measurement can help an organization better achieve its goals but it can also lead to unintended consequences. Performance bonuses or fees are typically seen as aligning interests of all parties involved but there are downsides when the wrong measures are used.